Vincent Enyeama and 10 other players sacked by Lille – Royal Times of Nigeria. 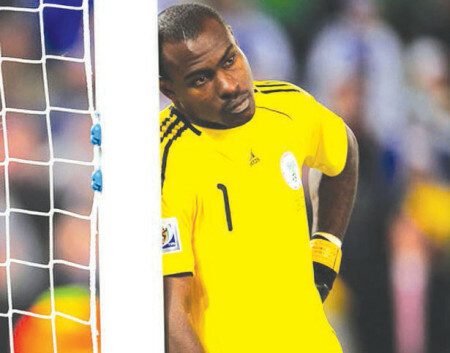 Former Super Eagles goalkeeper, Vincent Enyeama has been told to leave his club, Lille alongside 10 others by new coach, Marcelo Biesla. After being appointed by the club’s new owner, Gerard Lopez, on a two-year deal in May, Bielsa immediately set about reshaping the squad that finished 11th in the French Ligue 1 last season. Bielsa had sent messages to Zambia’s Stoppila Sunzu, Montenegro international Marko Basa, France international Marvin Martin, Tunisia’s Naim Sliti and Ivory Coast’s Junior Tallo saying they are not part of his plans. Enyeama, who joined Lille in June 2011 and has made 164 appearances, only signed a new deal last season and could choose to follow the lead of Tallo.